St Patrick's day is my favourite patron saints day despite not being Irish, I love how they celebrate to the max and I think we could all take a leaf out of their book. 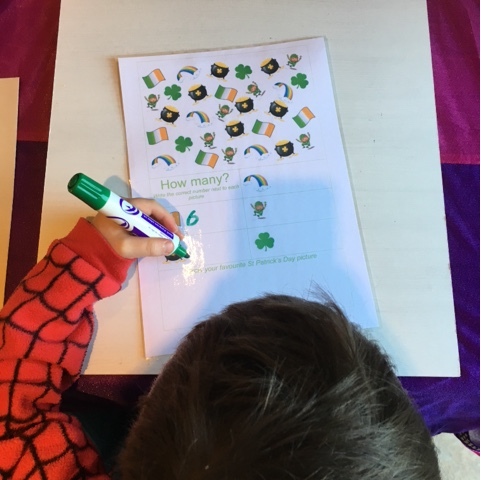 Anyway, here's a little activity I created for T for St Patrick's day. 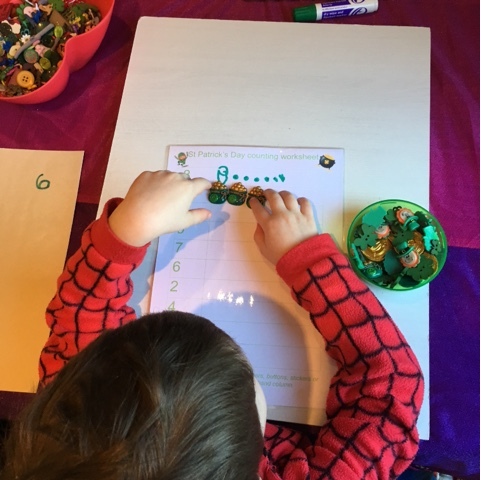 The second page was for T to count the number of images and write the number in the box, he really surprised me and started writing the numbers straight away! 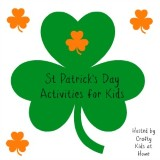 We are joining in with the Crafty Kids at Home St Patricks Day Kids Activities blog hop, below you can find everyone else's fantastic posts. 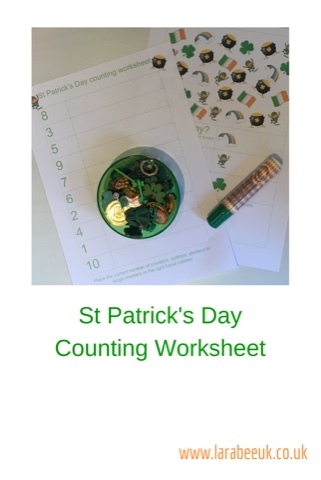 This is a really fun way encourage kids to count and we love any excuse to put a St Patricks Day twist to our activities right now. 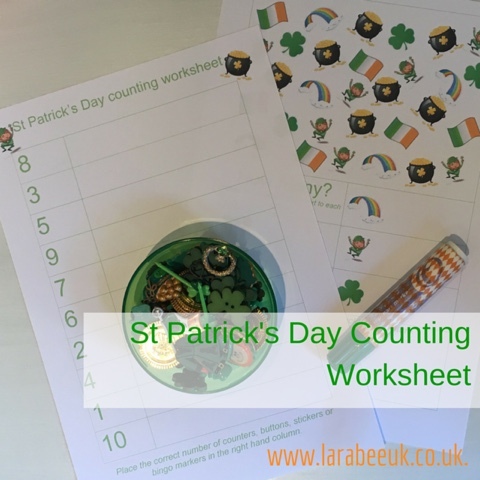 Thanks for taking part in our hop and sharing this printable with us. aww what a lovely idea! 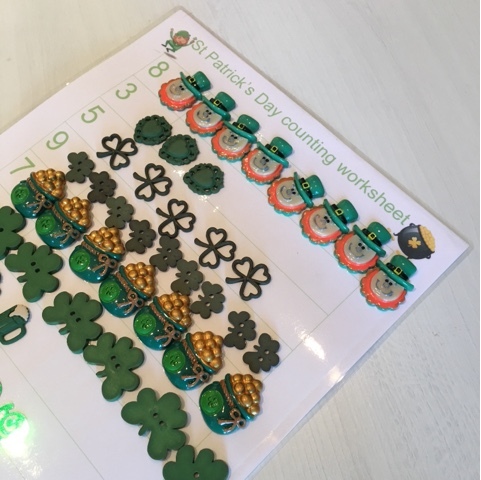 we haven't done any st patricks day crafts yet! but it's great this encorporates counting as it is something we are working on! Those buttons are so cute. It's lovely to have themed activities like this. I need these buttons. Where did you get them from?